Rules of the House offers a dynamic revisionist account of the Japanese colonial rule of Korea (1910–1945) by examining the roles of women in the civil courts. Challenging the dominant view that women were victimized by the Japanese family laws and its patriarchal biases, Sungyun Lim argues that Korean women had to struggle equally against Korean patriarchal interests. Moreover, women were not passive victims; instead, they proactively struggled to expand their rights by participating in the Japanese colonial legal system. In turn, the Japanese doctrine of promoting progressive legal rights would prove advantageous to them. 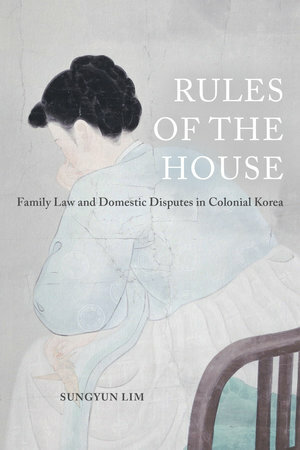 Following female plaintiffs and their civil disputes from the precolonial Choson dynasty through colonial times and into postcolonial reforms, this book presents a new and groundbreaking story about Korean women’s legal struggles, revealing their surprising collaborative relationship with the colonial state.